metal finishing Archives - Blog | Red River Precision Mfg., Inc.Blog | Red River Precision Mfg., Inc.
Not every metal fabricator can handle turnkey projects. Because we are a full-service manufacturing company, turnkey projects are easy for us. What exactly is turnkey? A turnkey product is one where the customer delivers specifications and the manufacturer builds the complete item. In our industry it is a fabrication of a complete product, not just a part that is a piece of a larger item or component. A perfect example is this turnkey project we completed recently. A customer came to us to produce a steel enclosure for a medical laser. The customer delivered the exact specifications and we took it from there. The first step in the process was creating the CAD programming followed by a multi-step manufacturing process that turned cold rolled steel into a 16” x 16” x 40” electronic enclosure. It is projects like this that set Red River apart from other manufacturers. We can meet the expectations of customers through streamlined and cost effective processes. The list of materials we work with is wide ranging and includes aluminum, copper, alloys, Molybdenum, stainless steel, and titanium. Secondary services are available for many different finishing options. With short turnaround times and expert machining specialists, we offer precision and extremely high-quality results every time. At Red River Precision our extensive capabilities allow us to work with a wide range of industries such as automotive, architectural, oil & gas, and medical. From individual components to completed products, there isn’t a challenge we can’t meet. If you need a product made to your exact specifications, please give us a call. We will work with you from the beginning to the end to make sure that it is 100% accurate and exceeds expectations. Have you heard about the skills gap? The Skills Gap Report was first published in 2001 by the Manufacturing Institute and Deloitte. It was a “landmark study identifying the mismatch between the skills of available workers and skills that manufacturers demand.” The 2015 Skills Gap Report reinforces the findings of earlier reports that manufacturers will continue to face challenges in finding talent to prevent worker shortages in the near future. Attracting the right workers to the industry is a must. As the Millennial generation enters the workforce, manufacturers will need to learn how to become more attractive to the next generation. One of the first steps is changing the view of the industry to potential employees. Manufacturing stills holds the reputation as being dirty or dangerous and providing little job security. Those of us in the business know that isn’t true. So, how do we appeal to millennials? Technology: Millennials have been raised with the best and newest technology. State of the art and cutting edge are where they gravitate to. Purpose: Millennials want to work for the greater good. A sense of community outreach and culture of purpose are what they are looking for. Work/Life Balance: Workplaces that allow employees to enjoy work, family, and fun are the most appealing. Feedback: Regular feedback is required to build employer loyalty. Communication is a key factor. Personable: Millennials want to connect and engage with bosses on a personal level. Training: This generation loves to learn new skills. Keeping this generation engaged at work takes training and development opportunities. Socialize: The 20-30 somethings want to build comraderies and loyalty. Outside of work socializing helps connect them to their workplace. Collaborative: This group has been working in groups their whole lives. They thrive on working together to meet goals and having their ideas and input count. Challenge: They love to be challenged but require the right motivation to help them rise to the occasion. Charity: Raised in a community-service environment, they respond to companies that give back. Competitive: This group loves to win. A competitive atmosphere will drive them to hard work. Trustworthy: Trust does not come automatically for this group and must be earned. But, once they trust you they will give you their loyalty. Our work with young people (see our April blog) has given us this insight into the workforce of the future. The talent is out there, but to maintain a strong workforce and eliminate the skills gap we must adjust to the changing times and understand where the next generation is coming from. Metal finishing is one of those manufacturing processes that so many people and businesses use without knowing exactly what it is, or why it’s as prevalent and advantageous as it is. The fact is, it’s relied upon in countless applications and industries, and has brought the industry equally numerous benefits. The manufacturing industry relies on a huge array of metals; from stainless steel and titanium to aluminum and copper, the vast majority of manufacturing equipment—as well as the products the industry produces—are made from metal. However, what many people don’t realize is that these metals wouldn’t offer close to the amount of advantages they do without metal finishing. 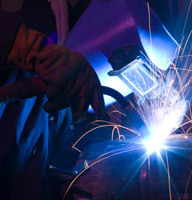 The process treats the exterior of a metal product by adding various layers, making the product exponentially better. Enhanced brightness, color, reflectivity, etc. As a result of the many distinct advantages provided by metal finishing, there are limitless possibilities for its use in manufacturing. Some of the many industries that use it include electronics, aerospace, telecommunications, automotives, appliances, and many more. For so many reasons, the process of metal finishing makes good products great, and is relied upon by manufacturers of varying products throughout the world.